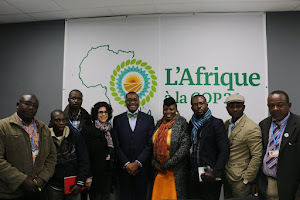 “THE promise of Paris” is the African Climate Talks (ACTs) theme- a critical inquiry into the issues, challenges and prospects of a post Kyoto climate framework for Africa. Over 500 delegates from across the continent gathered for a three day intensive dialogue on Africa’s climate pathways. The talks explored the possibilities of Africa prospering in a changing climate, how that prosperity can be leveraged and the roles of different countries in enabling this prosperity through their contributions to global climate governance. However, did the conference meet delegates’ expectation? Adamasu Shibru from Ethiopia explains his expectations have to a higher level been met because the meeting brought out issues that Africa could carry to the Paris negotiations. Shibru said the positive response from delegates who turned up in large numbers is a clear indication that Africa does not want to repeat the mistakes made in the past. “Based on our mistakes eg the failure to uphold the Kyoto protocol for the benefit of Africa, the Paris meeting will be conducted and handled differently,” he stated. Shibru noted that Africa is ready to show its capacity by not begging from the industrialised nations but demanding that the right thing is done of ensuring that greenhouse gas does not exceeding the two degrees Celsius. He highlighted that there is room to ensure the relationship between policy makers and scientists is strengthened. Shibru advised that Africa should show the world its contribution to the negotiations and also remind the world that its contributions remain very low. “We need environmental economists to value our contributions financially to the reduction of the emissions and demand payment,” he lamented. Peter Kanowa, Language Consultant, Translation and Interpretation in Tanzania however says despite the proceeding going well, his main concern was particularly the manner some presenters conducted their sessions. “Most speakers spoke so fast without making pauses and making interpretation very difficult. Many did not have regard for the interpreters and the audience who to some extent could not grasp their presentation well,” he said. Kanowa noted that people speak different languages and their understanding to English is somehow limited. He added that it is important that speakers have a loud voice and ensure that they are understood by the audience. “So far, I do not know if the objectives set for this gathering have been met, I also do not know the delegates going to Paris, how ready they are for intervening on behalf of Africa,” Kanowa said. He said African negotiators should be fully prepared so that Africa is not cheated by the industrialised countries. John Mahegere from the Dodoma Environmental Network said he had come for the conference to see the direction Africa is taking especially in the area of mitigation and adaptation. “If we are going to walk the talk, then the gathering here is equipped to have a deal at the end of the year,” he said. Mahegere however said he is hoping the meeting is not one of the many rhetoric gathering that have taken place in the past, then “we are wasting time here”.